The booth owner, Sunil Kumar Tripathi, listens, and then says “it’s all nonsense” and that “only idiots will vote for her”. A little prodding by the customer led Tripathi to elaborate why a voter has to be an “idiot” to vote for Priyanka, the newest general secretary of the All India Congress Committee and in charge of eastern Uttar Pradesh. “See, people who voted for Indira Gandhi will think Priyanka is her reincarnation. Those staunch Hindu believers of punar janam (rebirth) will buy into that narrative,” he says. It is, of course, another matter that Priyanka was almost 13 when her grandmother was assassinated. Unlike her brother Rahul Gandhi, whose name largely received puzzled looks or scoffs, there was some nuanced engagement with the announcement of Priyanka’s official foray into politics. Saurabh Tiwari, a contractor for the mela, says he will certainly not vote for the BJP this time. “And among all these other options and alliances, Congress now seems more legitimate with Priyanka’s face. She obviously commands much more respect than the others in the party,” says Tiwari. Aparnesh Tripathi, a Gorakhpur resident who would be staying at the Kumbh for its entire duration, asks, “Whatever you may say, can you ever ignore how much wealth her husband made under the United Progressive Alliance government? I read a tweet somewhere that said the Tatas took 100 years to make their money, the Ambanis became wealthy only after 50 years, but it took Robert Vadra just 10 years to create that pile of money.” “The Congress cannot wish these questions away,” he adds. 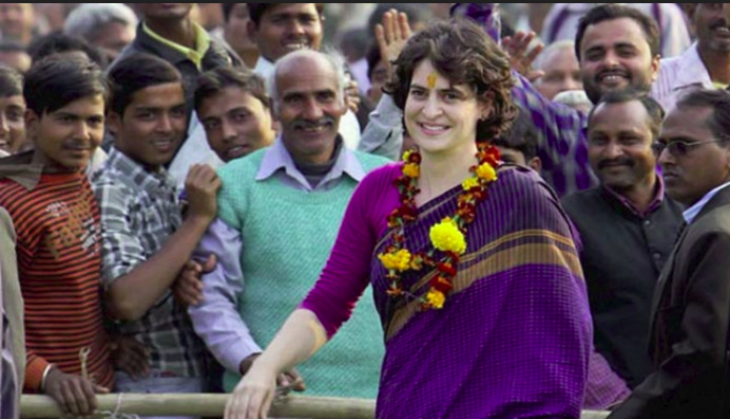 Knowing that the strictly secular optics will not work with a large population of the country, Priyanka may be towing the line her family often has — of soft, palatable Hindutva. At Kumbh, though, it might take more than a dip to convince voters of her political merit.